A couple of weeks ago I bought tonka beans for the first time. As soon as the little package arrived - a smart screwtop box with a precious 20g of beans - I opened it and took a sniff. And the smell you get when you do that tells you everything you need to know on the question of why tonka beans are such a big hit with foodies. Such an amazing, complex, but at the same time recognisable melange of scents. Vanilla, almond, cinnamon and caramel. All mixed in together, and with more besides. 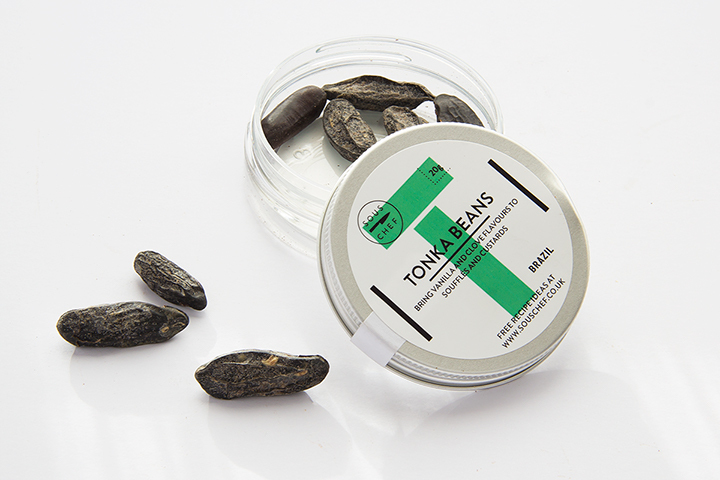 It’s not surprising that tonka beans, as well as being a foodie thing, are one of the most natural-based inputs into the perfume industry. The beans are about an inch long, black and shiny. When you grate them you find a brown dense matter inside. And grate them you should - treat them like nutmeg. Use them in situations where you might otherwise have used vanilla. They come from a Central American tree called cumaru. Harvesting them has generated income for generations of indigenous communities that live within some of the diverse forest ecosystems of Venezuela and Brazil. The thing that gives them their flavour kick is a chemical called coumarin. You don’t want coumarin in large doses - it has a bitter flavour in the same way that nutmeg does. And in the US they’ve historically been rather fixated on the fact that at large doses there are some negative health impacts - but nobody eats tonka beans in anything approaching those quantities, so why tonka beans are banned in the Land of the Free when the chemical in question is found in other common foods and plants, such as lavender - well, that’s for someone else to work out. In the mean time if you’re lucky enough to be able to, I recommend you give them a try. 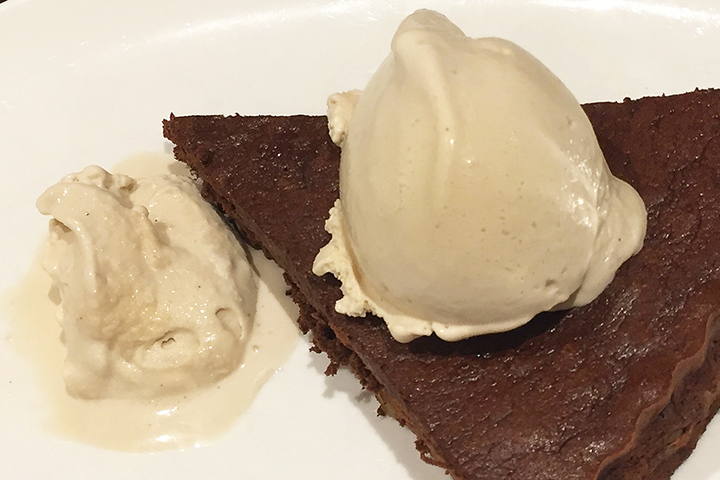 My first outing for the beans I bought was a batch of tonka bean ice cream which I served up alongside a chocolate tart. It was spectacular - an initial hit that makes you think you’ve just tasted really good vanilla ice cream, but then layer upon layer of alternative flavours just dancing all over your palate. It’s simple to make. Put 4 tonka beans in a small frying pan and heat until the heady aroma of almonds hits you right in the face. Crush the beans with a pestle and mortar and add to 750ml full fat milk (the fat balance is key to ice cream, so don’t think you can get away with your low fat nonsense here) and 375ml double (heavy) cream in a pan. Heat the pan to just below boiling - say 85ºC and then leave for the beans to infuse for a couple of hours. Reheat the mixture and whisk 8 egg yolks with 200g caster sugar and 20ml liquid glucose until the mixture goes pale. Pour some of the milk mixture over the eggs, whisking to incorporate smoothly, and then add back into the pan. Heat it up while stirring constantly. If you want scrambled eggs, let it boil. If you want beautiful dreamy ice cream, heat it carefully to just below boiling. It should be between 84ºC and 87ºC when it begins to thicken enough to coat the back of a wooden spoon. Strain through a sieve into a bowl and leave it to coo. Once it’s cooled down, whack it into an ice-cream machine and freeze. Be prepared for some fantastic ice-creamy goodness. It won’t have escaped your notice that if you’re using 8 egg yolks, you will be left with 8 egg whites. I paired this ice cream with a chocolate tart that used more egg whites than it did yolks, so that accounted for some. But not all. The remaining egg whites were frozen - whites (but not yolks) freeze easily and well. It has already been scheduled in that they are destined to bring joy to a batch of macarons. If you plan ahead how you will use stuff, then it’s less likely they will remain forgotten at the back of the freezer. I had a small quantity of double cream left over as well - a small enough amount that it can get used with tomorrow’s helping of the same tart. But if you weren’t able to get the optimum sized cream containers, you can freeze double cream (not so much the lower-fat content versions, though) for future use. Again, when you do so, bear in mind when and how you plan to use it.